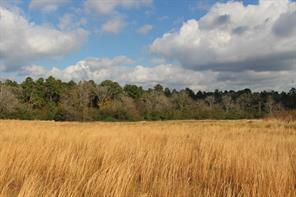 Sonrisa Ranch– 287 rolling acres, mixed pasture and woods, northwest of historic Montgomery, TX. Custom-built 2-story home with slate floors, stone wood-burning fireplace, and site Amish built cabinets. 3,544 sq. ft., 4 bed, 3 bath, 2 half baths, master suite down. Spacious front porch and outdoor kitchen. Practical 125x40 shop building with 25x20 roughed in living area. Perimeter is fenced and there is extensive cross-fencing. 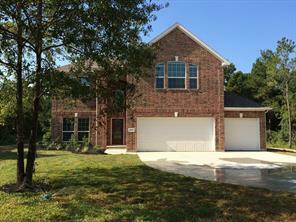 Great location near Sam Houston National Forest and Lake Conroe; an hour from The Woodlands or College Station. Ag exempt, unrestricted – can be adapted for cattle, horses, hunting, or many other possible uses. Some floodplain. 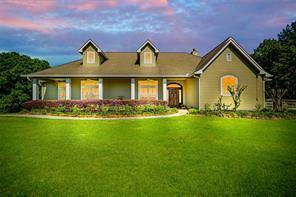 Sonrisa is your opportunity to realize your dream of a Texas ranch. 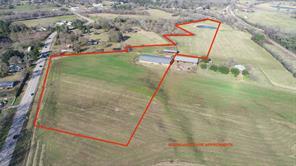 34.86 Acres of of extremely sought after land nestled in the heart of Montgomery. This rare piece of land with 760 FEET of HWY 105 FRONTAGE is a business/developers DREAM. All utilities are available. The opportunities this property offers are endless, including shopping centers or even a subdivision! Montgomery is becoming a huge attraction to developers and investors due to the high demand of suburban families wanting to be in the renowned Montgomery school district, as well as live the lake lifestyle. This is a listing for 2 homes located on same lot with one Tax ID, in Fast Growing Montgomery area 40 mins from A&M and Woodlands. Both homes are rented and will be a great investment property. Current Tenants are absolutely Gem , pays rent on time. 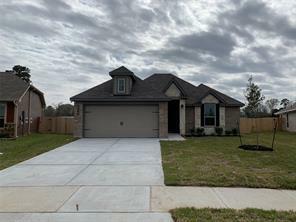 One house was built on or before 2000 with 995 sq ft has 2 Bedrooms and 1 Bath pays 995 per month, 2nd house was custom built in 2016 sq ft 1404 with 3 Bedrooms and 2.5 Baths with Granite Tops and much much more. Currently receive 1395.0 rent per month. One lease is up for renewal in August but are willing to sign renewal for 2 years for $1500.00 a month Please contact us for more details. 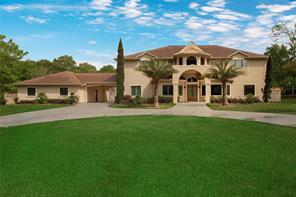 Truly one of a kind, over 10,000 SF of living space on nearly 12 acres inside a gated community. Completely remodeled in 2014, every room is "wow." There was also added a two-bedroom suite to include private utility room, small food prep area and separate sitting/living space. Six-car garage (original 4-car plus 2-car added in 2014). For the very few who have earned this lifestyle, this is about as good as it gets. Located in Perfection Ranch of multi-acre home sites in the rolling hills just west of Lake Conroe, this Hacienda style home sits on 11.68 serene acres. Exquisite design includes the pool and spa located in the center of the home as the living area wraps around your private oasis. Veranda overlooks pasture (this is horse country), and down the hill to the creek bed and pond. Space, space and more space. Home has every amenity you'd expect and more. This is the one you've been waiting for, so welcome home. Exemplary Montgomery Independent School District. 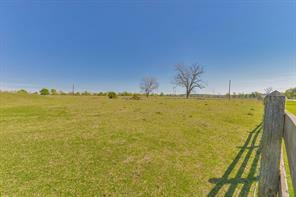 195 rolling tree-studded acres with big pastures. Abundant wildlife. Beautiful elevation changes and park-like frontage on Ford Lake. Several premium home sites offering big views. Ready to build on! Back on the Market at a Reduced Price! 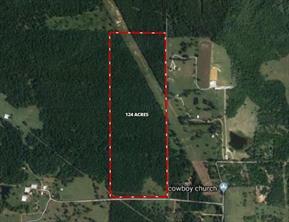 68 +/- acres in Montgomery off FM 149 close to downtown on Blue Goose Rd. 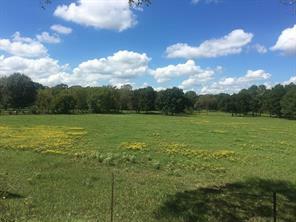 This is truly a one-of-a-kind tract: Fenced/x-fenced, improved pastures, ponds w/bass, perch, brim + more. A true Gem. This tract is being subdivided from a 165 acre tract. Survey required. Can purchase more or less land if desired. 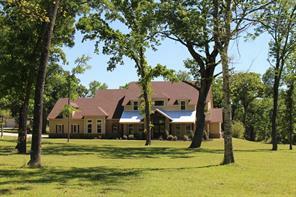 Texas Star Ranch 82 secluded acres graced by a French Country estate home. Built in 2010, 5,150 sq.ft. home offers formal living and dining, island kitchen, huge game room upstairs, and sun room overlooking pool with outdoor kitchen. Rolling pastures with hardwoods, three ponds, fenced and cross-fenced, shop/barn. Gated entry with long rock road to home. A portion of the land is in the 100 year flood plain. Montgomery ISD, light restrictions to maintain value. 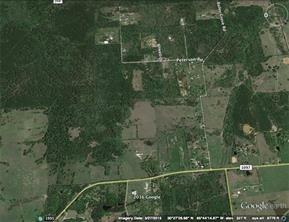 **Back fence line is the Sam Houston National Forest.Densely wooded beautiful tract of land. Build your home retreat in this Fabulous secluded setting. Quiet, peaceful area. Close to Montgomery. This property has Timber exemption. 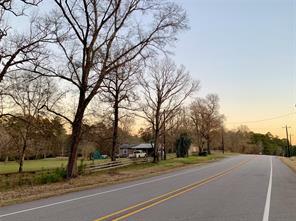 45+/- Acres, located in Montgomery County just walking distance from BlueJack National Golf Course and just a short distance from SH HWY 105, SH 249/the Aggie HWY and the proposed Magnolia Loop!! 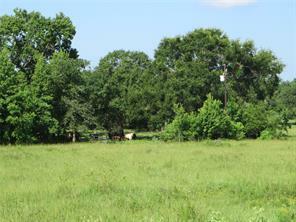 This beautiful Land features a natural spring fed creek, wooded areas as well as pasture areas and some historic barns. Bahia Hay is currently being grown on a section of the pasture. Great location for Commercial/Retail Development, Residential Community or a personal residence! With all the growth in the area, Imagine the possibilities! Poor S Ranch - 2662 sf one story ranch home built in 2001 overlooks large stocked lake. Great room has stone fireplace and views front and back; open to kitchen with granite countertops and adjoining breakfast room. Rolling improved pastures produce a lot of hay and keep AG exemption in place. Metal barn for hay and equipment storage. All this on 42 unrestricted acres just outside historic Montgomery. Spectacular Jeff Paul Custom Home with sweeping views of the 2nd, 3rd and 4th holes on Tiger Woods' first U.S golf course, Bluejack National! Quickly becoming THE place to live a carefree and casual way of life, Bluejack offers terrific amenities for the entire family including 18 hole championship course, 10 hole lighted par 3 course, fishing, hiking, biking, dining, bowling and many more! Come experience what so many others are finding to be the best kept secret in Texas! 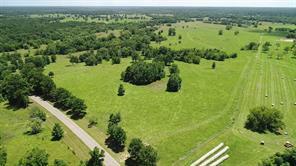 T Tree Farm- 21.69 acres graced by a 5,798 sq.ft. home with 5 bedrooms, 4 full baths, and 2 half baths. Two-story living room with stone fireplace is open to the island kitchen and breakfast room; all overlook the heated pool and spa. Working pantry, custom solid wood cabinetry, Travertine floors. Master & guest suites are down. Up:3 bed,2 baths, game/media room. Land is rolling with scattered trees, partially fenced. 40x60 barn/shop, RV cover, 20 KW generator, much more. Country restrictions. Montgomery ISD. 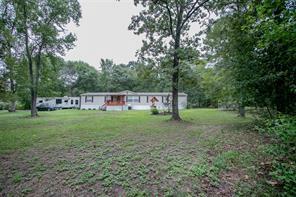 Beautiful rolling property heavily wooded. Excellent location. 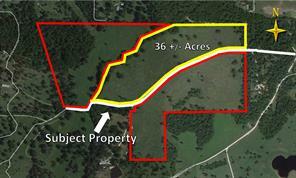 Property can be broken up into smaller tracts down to 1 acre tracts. Contact me for more information. RARE FIND, Only 1.3 miles from the main intersection in downtown Montgomery. Beautiful, secluded 46 + acres. It has the feel of being farther out in the country but is right near the heart of town. Open pastures, woods, creeks, a big pond, a small pond, a nice doublewide mobile home, and a barndominium. 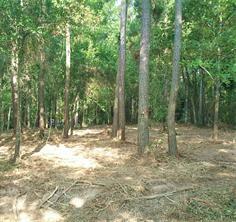 This would be a wonderful place for a weekend getaway or to build your new home, or even multiple homes if desired. The mobile home is in very good condition and the 30' x 40' barn has an apartment above it that is approx. 1125 sq. ft. The owners use the bottom of the barn as a garage and there is still plenty of work/shop space. No flood zone. Gorgeous 16+ acre property featuring private, ranch style home with complete wrap around porch and expansive back deck, spa, and outdoor kitchen. Property also features a separate, spacious, air conditioned multi purpose building a huge shop with loading dock and several additional metal buildings. . Back few acres of the property consists of several metal buildings that are currently being used for commercial use, while the front of the property could be used to host events, such as weddings if you choose. Take your pick! As you drive in the private, gated entry, your own stocked pond can be seen on the left. Schedule your appointment today! From Morning Star Builders comes this spectacular Southern Living Cottage of the Year design in Bluejack National. Select all of your finishes now and then live the carefree and casual way of life that only Bluejack National can offer. Terrific amenities for the entire family, including 18 hole championship course, 10 hole lighted par 3 course, fishing, hiking, biking, dining, swimming, bowling and many more! Come experience what so many others are finding to be the best kept secret in Texas! 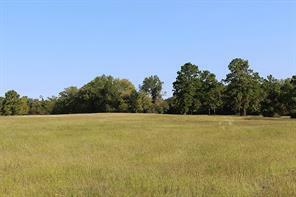 55+ ACRES OF UNRESTRICTED PROPERTY JUST NORTH OF HIGHWAY 105 ON FM 1486. CITY WATER AVAILABLE. HAS A STOCKED POND IN FRONT AND CREEK AT THE BACK OF PROPERTY. CURRENTLY USED FOR CATTLE AND HORSES. GREAT LOCATION. BEAUTIFUL OLD GROWTH TREES MIXED WITH OPEN PASTURE FOR GRAZING. LOTS OF WILDLIFE. 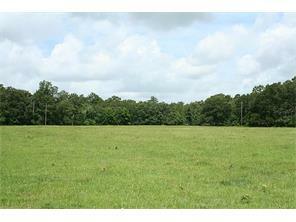 Prettiest acreage home site within the city limits of Montgomery! 18.634 immaculately maintained acres with more acreage available and with current wildlife ag. exemption! Gorgeous pond, with dock! Wooded areas, abundant wildlife. Perfect for horses! Walking distance from shopping and restaurants in the quaint downtown of Montgomery! This property is one of a kind and truly something special! Come see it today! Winding drive leads to incredible privacy and relaxing views. Home has been placed to the back of the property on a hill facing east overlooking the manicured land. Nice sized dining room with french doors to the terrace. Adjacent kitchen is a show stopper with an abundance of counter top and cabinets, long angular breakfast bar, center island, granite counter, custom tile back splash. Kitchen is open to the living room with vaulted ceiling and windows over looking the terrace and swimming pool with hot tub. Large master suite having a well planned master bath with long his and her vanities, pedestal jetted tub that is banked on the walk through shower with duo-nozzle and glass accent walls. Private 2nd and 3rd bedrooms share a jack and jill bath. Additional Rooms include a game room/2nd master suite with private access to the full hall bath. Office area. Pool and hot tub is placed on a terrace over looking the property. Every attention to detail you could ask for. 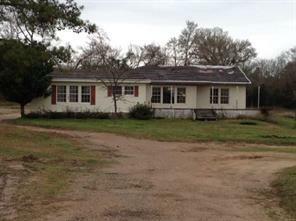 VERY NICE 3BED/2BATH 1368 SQ/FT HOME ON ROLLING 44 +/- ACRES JUST NORTH OF HISTORIC MONTGOMERY, TEXAS. INTERIOR FEATURES INCLUDE LARGE COUNTRY-STYLE ISLAND KITCHEN, LARGE MASTER SUITE, CATHEDRAL CEILINGS AND MORE. EXTERIOR FEATURES INCLUDE LARGE COVERED WOODED REAR DECK, GREAT VIEWS, 2 ACRE STOCKED LAKE, ROLLING GRASSY PASTURES, 45'X25' FT OVER SIZED GARAGE/WORKSHOP, NEWER AEROBIC SEPTIC SYSTEM AND PRIVATE WELL. 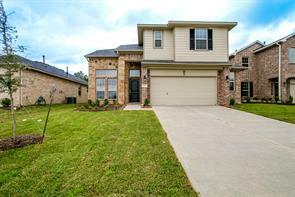 LOCATED IN MONTGOMERY ISD AND CONVENIENT TO SHOPPING, DINING, MEDICAL, LAKE CONROE AND THE SAM HOUSTON NATIONAL FOREST. ENJOY THE PRIVACY AND SERENITY OF PEACEFUL COUNTRY LIVING AT ITS BEST. PROPERTY HAS A WILDLIFE EXEMPTION. ADDITIONAL ADJOINING ACREAGE AVAILABLE. 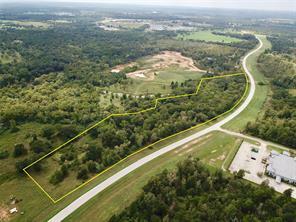 32 acres of possibilities! 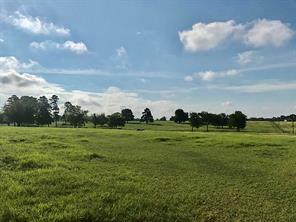 In Montgomery ISD, this tract could be your horse farm, cattle ranch, dream home site, weekend getaway, or investment. 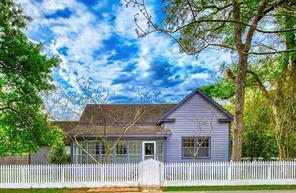 Only 2 miles north of historic Montgomery and its shopping and entertainment district. 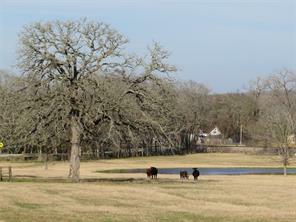 The land has open pasture, woods, a pond, and is a lovely combination of level and rolling. This property is ready to work for you - give us a call today! 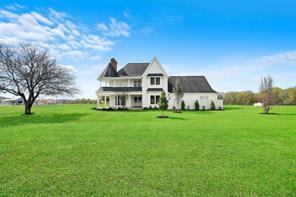 The possibilities are endless with this gorgeous country estate nestled on 16.2 acres. Main Home is a beautiful 2861 sq ft 2 story ranch featuring a full wrap around porch,expanded multi-level back deck with hot tub,bar/grill and kitchen area. Private pond and paved driveway through out the property. There are 3 large bedrooms,2.5 baths,huge family room,large kitchen area,formal dining room. The master is located on the 1st floor. There is a large game room over looking the family room. Located at the front of the property there is a free standing building approximately 1400 sq.ft and air conditioned currently being used as a karate dojo but has endless possibilities. 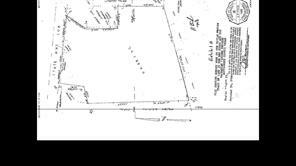 **The back 2.5 acres is the industrial portion. It consist s of the main shop, 16ft eve ht. with 12x14 overhead door. It boasts a large concrete parking turn around area 60 x40 loading dock. The property also includes 3 other industrial buildings along with a mobile home that is being used as an office. 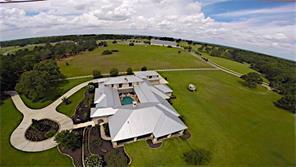 This 19+ Acre ranch has a custom home overlooking the rolling pastures. The home was built in 2013 boasts vaulted ceilings in living area with 3 Bedrooms 2.5 baths and a fourth bedroom is yet to be finished. 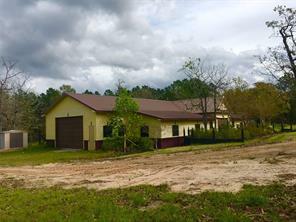 This great cattle ranch has a metal frame horse barn with concrete hallways , tack room, feed room. The barn has 4 Priefert stalls , and pipe fence turnout for the horses. Large metal frame shop area with concrete floors has plenty of room to house trailers ,tractors and ranch tools and toys. The property has a pond, irrigation well and plenty of driveway/parking to make it convenient to bring in the trailers and make the turns. Plenty of wildlife for the avid hunter or naturalist to enjoy what mother nature has to offer. 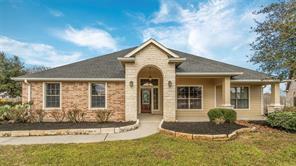 Just minutes away from historic Montgomery, TX, and located in much sought after Montgomery ISD. Additional Acreage is available. 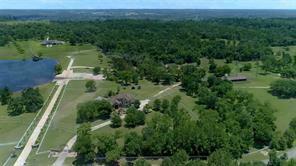 BEAUTIFUL ROLLING 42 ACRES JUST 1.8 MILES FROM HISTORICAL MONTGOMERY TEXAS (BIRTHPLACE OF THE TEXAS FLAG). PROPERTY FEATURES 108x72 BARN WITH STALLS, HAY & EQUIPMENT STORAGE, FEED & TACK ROOM, CORRALS WITH SQUEEZE CHUTE, GREENHOUSE, TWO STOCKED PONDS, PERIMETER FENCING, NEWER WATER WELL & PRESSURE TANK, NEWER SEPTIC SYSTEM AND NEWER ROOF. 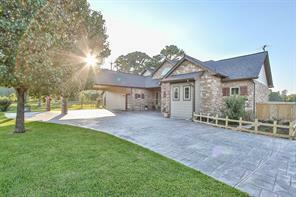 THIS GORGEOUS PROPERTY IS CONVENIENTLY LOCATED TO SHOPPING, MEDICAL, RESTURANTS, SAM HOUSTON NAT'L FOREST AND LAKE CONROE. EASY COMMUTE TO MONTGOMERY, CONROE AND THE WOODLANDS. PROPERTY ALSO OFFERS SEVERAL BEAUTIFUL BUILDING SITES TO BUILD YOUR ''DREAM HOME'' AND HAS PLENTY OF ROOM FOR HORSES AND LIVESTOCK. PROPERTY HAS HAD HAY PRODUCTION IN THE PAST. LOCATED IN THE MONTGOMERY ISD. 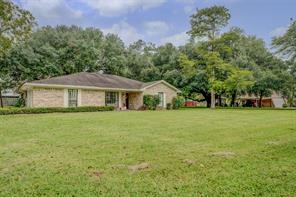 Beautiful property with scattered trees in Montgomery ISD. Almost 30 acres of improved native pasture with AG exemption. Fenced & cross fenced with high quality electric fencing. Includes an updated Austin Stone type home with a detached 3 car garage, pond, outbuildings, and extensive gardens with fruit trees, plants, and flowers. House features an open kitchen, dining, and living area with lots of large windows. Gorgeous location with with wrap around deck on three sides of the house. Seller took out the fireplace and put in an electric stove but buyer could easily put the fireplace back in. *Sq. Ft. of all rooms should be checked for accuracy. 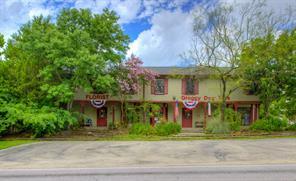 Commercial and Residential Building for sale in the Historic Montgomery District. Commercial retail space on the 1st floor of approximately 3000sq.ft. All measurements should be confirmed by Buyers. Approximately 2500 sqft of residential space on the 2nd floor. 4 bedrooms and 2 full baths. Master suite was finished in 2017. Master Suite has it's own separate entrance and could be a separate lease space. The open and bright kitchen was remodeled in 2016. Roof replaced in May of 2018. Plenty of opportunity with this building! Paved parking in rear of building as well as a fenced in grassy yard. Call me for a tour. A nice rolling piece of property, half-wooded, 1.3 miles north of historic Montgomery. Ready for development - public water and sewer available! 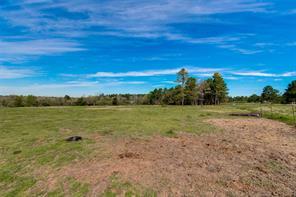 +- 124 acres of unrestricted land in the desirable Montgomery school district. Public water is available at the street. 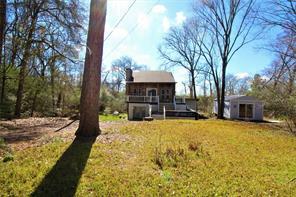 No floodplain and a great new low price!! Rolling topography. Bring your hunters, cattle, and horses out to the country. 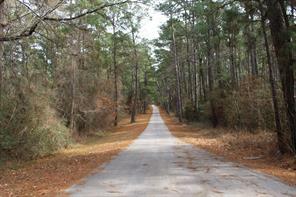 Seller says Joe Adams Road will be paved soon. Property has two wet weather creeks. 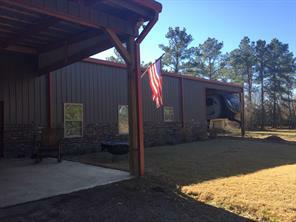 The acreage is approximately 1321 ft by 4038 ft.
Rolling secluded 44 acres adjoining Sam Houston National Forest located just 9 miles north from downtown Montgomery. Mostly wooded with mature pine trees and hardwoods. 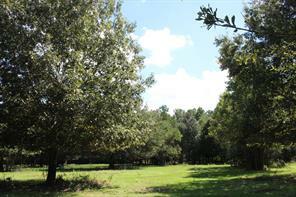 This unrestricted acreage provides an ideal opportunity for your family estate or hunting ranch. Montgomery ISD. Being managed for timber. No flood plain. Give us a call today! Come see this beautiful country home priced to sell. This home has 4 bedrooms and 3 baths. Two master bedrooms, 1st master bedroom has a separate shower and large garden tub. 2nd Master has a shower tub combo. Large Gameroom/extra room above the garage. Great for the kid's play area etc. This is a must see home, county living at its best on over 5 acres of land, with manicured front and back yard, southern style porches on the front and back. Picturesque back yard ready for entertaining or just relaxing. Peaceful and serene settings. Plenty of room for all of those family get-togethers. This property includes fruit trees galore, 2 apple trees, 4 fig, oranges, tangerine, and pear trees. Plus a garden. Including blueberry bushes, blackberry shrubs, and muscadine grape vines. This property has a hay AG exemption. Come on out and take a look. This tract of land is located in the Montgomery Independent School District. The property is currently on a Agriculture Exemption and will qualify for a Wildlife Exemption. Big Savings on taxes each year !!!! The property has rolling terrain with a dry creek. Texas native trees and a good stand of young pine. PUBLIC WATER in front of the property saves big dollars not having to drill a well. 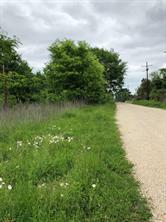 Wildlife includes whitetail deer, hogs, etc., This tract fronts a paved county road and has all the privacy one needs. This tract won't last long. Gracious Country Living at its best. Enjoy the peace and quiet on your 10 acre estate. Watch the deer feed and unwind in your one story stone and stucco home with metal roof. Lots of designer features and upgrades. This beautiful 32.5 acres has it all. 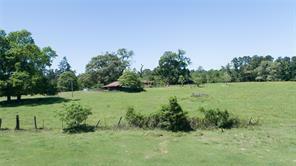 Improved pasture, creek, large Texas native trees including majestic post oaks and pine trees. The property has a Barndominium with full living quarters. The property is fenced on two sides. UNRESTRICTED Multi use track offers loads of options for use. Residential or Commercial property located on Hwy 105 West in Montgomery. Over 4 acres with mature trees, lovely custom home and 30x40 metal building on concrete pad, with electricity and 2 roll up doors. Spacious home features 3 bedrooms, 3.5 baths, study with balcony, country kitchen with breakfast area, huge den and family room. 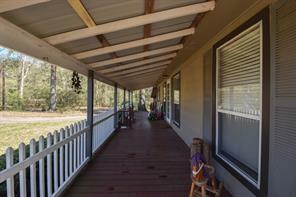 Covered front porch and carport with enough space for 4 vehicles. Custom features include: rich wood work thru out, stone fireplace & hearth, Travertine counter tops, new carpet, fresh paint, wood floors, lots of natural light and custom window coverings. Master bedroom boasts new carpet, fabulous master bathroom that opens onto a balcony surrounded by shade trees. This property offers so much charm and possibilities for home or commercial use. 400 feet of frontage on State Hwy 105! Agent is related to seller. 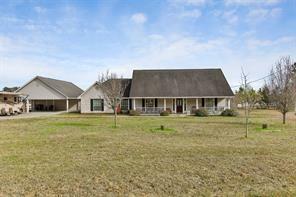 This is a beautiful 4 bedroom, 3.5 bath home located on 1.649 acres. Covered back patio with bar and gorgeous pool for entertaining. Generator so you don't have to worry about power outages. 30X40 building with separate driveway with entrance off of Vintage Oaks. Building has a 15 Ft additional covered area attached. Pool also has a spa with seating. Also pool can be heated with its own propane tank. Also has chiller for those hot Texas summer days. Huge master bedroom with walk in closet and extra large shower. Entire house and outside wired with speakers. Home security cameras for safety Kitchen has center Island with its own sink and lots of storage. Breakfast bar. Water softner. Side by Side refrigerator and freezer stays with home. Even has a pot filler over stove to make it easier when cooking. 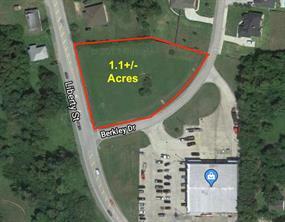 1.11 Acre Corner Tract in Downtown Montgomery. Cleared and ready to be built on. Great Visibility and Location next To Jim's Hardware. 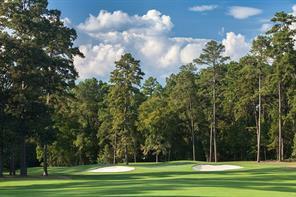 Amazing BlueJack National golf course lot overlooking the 2nd hole green and 3rd hole tee box. 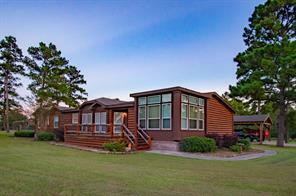 Over 1 acre, wooded lot with incredible views of BlueJack National award winning golf course. Rare, inaugural release lot. House plan is architectural rendering only. No Builder requirement. Buy for investment property or build your own dream home. Lot includes discount towards membership. BlueJack offers terrific amenities for the entire family: 18-hole championship golf, 10-hole lighted par 3, fishing, dining, The Fort family center with swimming, bowling and much more! 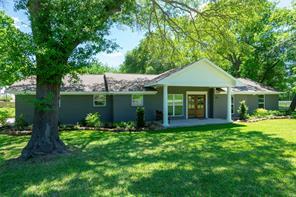 Stunning custom Ranch style home and shop on 2.7 acres in highly acclaimed Montgomery School District. Need breathing room from the big city? Come take a look! Mature trees all over property!! Open split floor plan. Upgraded and custom kitchen. Stained and scored concrete floors throughout. Custom built ins. Walk in closets and walk in pantry. Outdoor kitchen including propane grill and sink. Irrigation system. 2400 ft2 shop; 24.5’ X 15.3’ insulated and A/C office space perfect for a small business. Amply room for storage or inventory. Covered 10' front and back porches on shop. Please call, email or text agent to set up an appointment today. 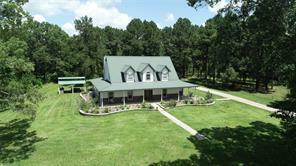 Unbelievable Custom on a huge 2.206 Acre Tract loaded with beautiful hardwoods all around. Very nice; unrestricted, with beautiful new homes surrounding. This home is loaded with beautiful wood look tile Huge island kitchen 2 large walk in pantries, high ceilings with beautiful beam work, Beautiful custom barn doors, Custom built cabinets craftsman style all the way to ceiling. 36" dual fuel gas range with electric oven, farm sink, pot filler behind range. Master bath has large walk in shower with rainhead, Huge closet loaded with built ins and a custom vanity, All bedrooms are huge with large bonus up and Huge media room and full bath up. All bedrooms are down. High efficiency 16+ seer AC's Zoned for maximum efficiency, superior Insulation Package with R-38 in Attic, Tankless Gas Water Heater, Double Pane Low E vinyl Windows. 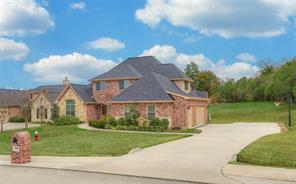 Oversized 3 car garage with long driveway through beautiful large Oak trees. NO MUD home has water well so no water bills. 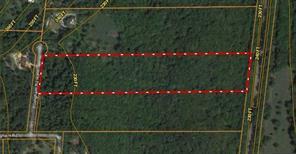 This 24.80 +/- acres located 10 minutes North of Montgomery is definitely in a rare class! This beautiful park like property with its rolling topography and sandy loam soils is abundant with beautiful trees of many species including Pine, Cedar, Crepe Myrtle, Magnolia, Cypress, Live Oak, Dogwood, Fig, and many others. Property was formerly owned by a master gardener, the result of their landscaping vision combined with the natural beauty of this property can be seen throughout. The serene driveway leads to the custom built 1922 sq. ft. home with approx. 900 sq. ft. deck, a 20'x18' Carport with a 33' concrete approach, sidewalks, 8x20 Storage, two 8x14 Storage bldg., 16'x19' Equipment Shed, 2 Wells, 2 Septic’s, RV Padsite, Dog Kennel. 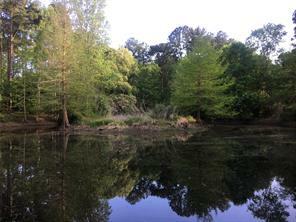 A beautiful pond with an Island and Bridge is located along one of the many hiking trails. A timber est. of approx. $40,000 was done in 2016. 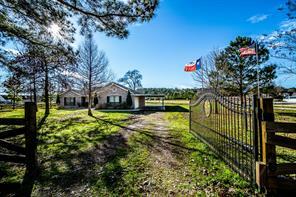 Make this your dream horse/cattle ranch, hunting/recreational property or whatever you like! Priced to sell! Watch the video tour! 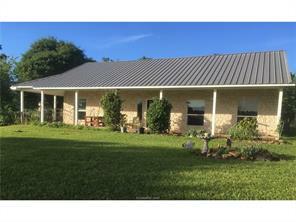 Beautiful home, guest house, barn and lake on 9.55 partially wooded acreage off FM 149. Watch the sun rise and set from the large, covered back patio and take in the beautiful scenery of your land and lake with covered dock and fountain. Move your parents in or invite family and friends to enjoy the guest house with an additional 800 sqft, or rent it out for extra income. You and your horses will appreciate the barn with water and electricity and the new fence around the property. Park your RV with the convenience of sewer, water and 30 amp electricity. Home has new appliances and updated master bathroom with dedicated hot water heater. 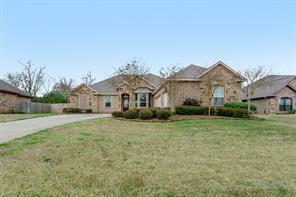 Neighborhood is surrounded by Sam Houston National Forest, schools are in highly rated Montgomery ISD, 1.5 mi to the Lone Star Trail, 7.5 mi to Lake Conroe, 9 mi to Montgomery, and too many other amenities and possibilities to list. Measurements to be verified by buyer. A wonderful opportunity to build your dream home! 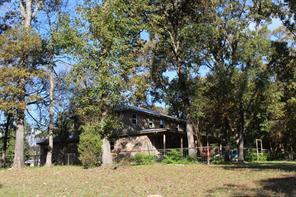 21.31 beautiful acres with scattered trees and a large spring fed pond. 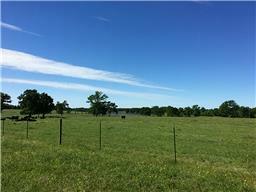 Approximately 750 ft frontage on FM 1097 W. Gorgeous sunset views! This property is a few miles from the historic city of Montgomery and its exemplary schools. High and dry with no flooding per owner! 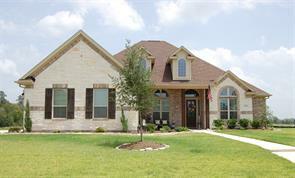 Gorgeous single story, 2,460 sqft home in Hill Creek! This home features beautiful vinyl, tile & carpet floors throughout the whole house, stunning front entry, large gourmet kitchen, breakfast bar, and stunning countertops and so much more! You will be hard-pressed to find this unique open floor plan in this neighborhood. With 3 beds, 2/1 baths and 2 garage spaces, this home has everything you could ever want! This gem will not last long- schedule a showing today! Stunning Ranch style 4 bedroom country home for sale! 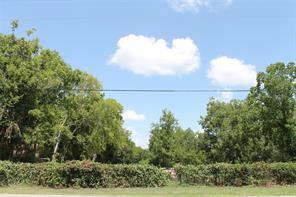 Corner lot with quick access to Hwy 105 and FM 1486. **30 minutes from The Woodlands, Tomball and Magnolia** Bonus 60 x 40 insulated shop with 3 rolling bay doors, and semi-finished insulated shop apartment. Outdoor kitchen with propane grill. Large master suite. Custom paint and texture throughout. Covered front and back porches on shop and home. Stained concrete floors and granite countertops throughout property. Large walk in master closet with built ins. **Plenty of storage space throughout home and shop** Beautiful mature trees all over property. Approx 2.7 acres of country living. Horses allowed!! Open and split floor plan. In highly coveted Montgomery ISD right on the school bus route!! **COME TAKE A LOOK TODAY**!! Please schedule appointments through Centralized Showing Service. Approx 5,500 square feet between shop and house. 1.48 Acres of Land ready for development. Across the street from Jim's Hardware Store. Great location for any business. 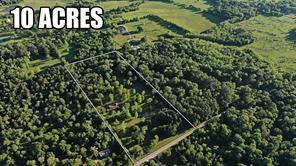 30.859 Acres - Wooded acreage in the highly sought after Montgomery area. Mature native timber. High and dry, no flood plain. County maintained road. Low taxes with Timber/Ag Exemption. No city tax, no MUD tax, no HOA or maintenance fees. Dream home, Barndominium or Mobile Home OK. Buy all 30 acres or half. See survey for additional information. 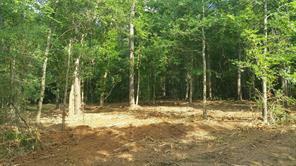 20 heavily wooded acres in Montgomery ISD. Level with a slight slope in the back; no flood plain. Regular shape being surveyed out of a larger tract, approximately 350 ft by 2,470 ft. Frontage on FM 1486. Unrestricted, timber exemption in place. Adjoining 38 acres with home and pond also available. 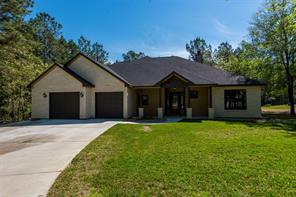 Close to Bluejack National golf community. Easy access to The Woodlands, Bush Intercontinental Airport, or College Station. Amazingly updated & well maintained two story home in the quiet & secluded neighborhood of Hill Creek! Upon entering you're greeted by a grand entry w/soaring ceilings and a bright atmosphere. Spacious family room, & HUGE windows full of natural light! Gourmet Island Kitchen w/ breakfast bar is open to the family room. Large Master down w/ high ceilings. Master Bathroom will blow you away! Updated vanities, custom lighting & tiling throughout, jetted tub & walk-in shower. Huge backyard boasts lush lawn on a 6.63 acre lot! 4 beds, 2/1 baths, 2 car garage & priced to sell- this home will not last long! A rare find! A totally remodeled, beautiful home in the heart of Historic downtown Montgomery that sits on nearly an acre! Mature trees line this gorgeous yard with not one, but THREE outdoor patios. Too many options to list with this expansive 3166 sf floor plan that boasts four nice-sized bedrooms, each with their own full bath..and in a one-story home! Two full-sized living areas, both with a fireplace, one could double as a game room, exercise room, office, living quarters, you name it! Not to mention a full-sized study/library off the entry! 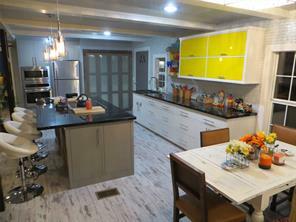 An enormous breakfast bar and prep island are the star of this remodeled kitchen. Buyers have the option of appliance packages for this kitchen, with space for double ovens, an ice maker, trash compactor, microwave drawer and much more. RV or boat parking, gardening, you name it with this large lot! Bring your buyers to see this beautifully landscaped home, within walking distance to Cedar Brake Park, shopping and restaurants. Looking for acreage in MISD. This 62 plus acres has been reduced. This parcel has an abundance of frontage on Mount Mariah. A portion of this property lies in the flood plain. See attached map. You don’t want to miss this 2-story home situated on 7.92-acres in Tri Lake Estate. Property features tall, mature trees, wood burning fireplace with stone hearth, wood paneling, updated flooring, built-ins, fresh paint, remodeled bathrooms, sunroom, and an indoor pool and spa. Create delicious cuisines in the kitchen equipped with a double oven and breakfast bar. Enjoy your days relaxing on the covered patio while looking out over the picturesque lake. Other distinguishing features include an automatic gate, 4-car carport, workshop with concrete floors & 14 ft. clearance, large barn, and 2 guest houses. 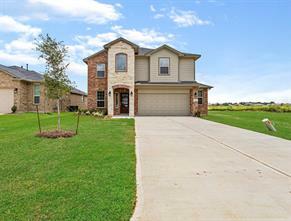 Well-situated with easy access to SH 105 and I-45. Schools are zoned to Montgomery ISD. Call today for more information! 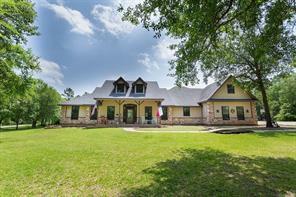 Lovely 4bed/3.5 bath traditional-style home on 10.650 acres in the heart of the Sam Houston Nat'l Forest. Interior features: Large open country-style kitchen, dining area and living room with fireplace, walk-in pantry, built-ins, high ceilings, décor lighting, fireplace, large master suite, spacious rooms and upgrades throughout. 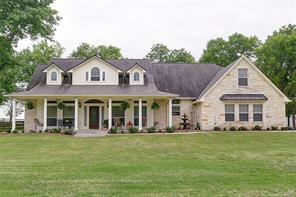 Exterior features: Large front and rear porches, pipe fencing around the yard, metal roof, roping and riding arena, large stocked pond with bass and catfish, barn with feed and tack room. Enjoy hunting and fishing, and peaceful rural living at its best. Enjoy the views of the property from the large front and rear porches. Located in Montgomery ISD. Bring your horses. 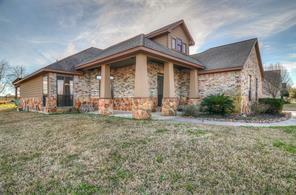 1.5 story home on a .35 acre lot in the gated community of Waterstone on Lake Conroe! Impeccably landscaped front and back, sweeping staircase, wood beam ceilings, decorative stone columns, stunning trim work, built-ins and abundant windows provide natural light throughout. Open concept island kitchen with stained cabinets, granite counters, breakfast bar and SS appliances overlooks breakfast room and den with gas fireplace; elegant formal dining; master retreat with sitting area and luxurious bath; game room, 5th bedroom and study upstairs, so this home lives like a true one story; oversized 3 car garage; covered patio, custom pool with waterfalls and sun shelf, stained concrete deck and fire pit overlook an eight acre park; close to exemplary schools, parks, pavilion, tennis and basketball courts. 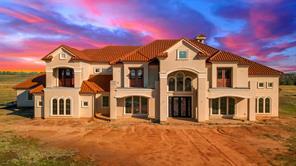 Custom home on 1 acre with many upgrades. Open floor plan with spacious kitchen that over looks family room and beautiful views of the backside of property. Large master suite with room for seating/reading nook or additional office. High ceilings, crown moulding, concrete flooring, granite countertops and a few of the many interior details that set it apart from the others. The exterior features include an oversized covered patio with fireplace for entertaining, wooded property line for added privacy and a 26x26 shop! This home is a must see! Home built & sold by Dunn & Stone Builders New plan! Beautiful 1-story home with spacious kitchen that features granite tops, stainless built-in Whirlpool appliances including double oven and 36” five-burner cooktop. Master suite includes his & hers vanities, oversized garden soaking tub, and separate closets. Home also has three additional bedrooms, casual dining space, mud area, and gameroom. Decorator details include a custom-built mud bench, oversized cooktop surround with pull-out spice racks, custom shiplap fireplace surround, and decorative barrel-vault ceiling in foyer. Completing the home is a three-car garage and large covered veranda. This lovely custom built home is on 1 acre and shows the pride of ownership. Original owners have kept this home immaculate & it is built with top-of-the-line everything! A generous sized family room with corner fireplace, 4 bedrooms (or 3 + study) 2 1/2 baths and an island kitchen with granite counter tops. Expansive covered back porch, perfect for entertaining or just enjoying the peace and quite. The TV's in the master BR, kitchen and front bedroom remain with the home. Speakers in the family also remain. Upstairs you will find an unfinished room which could easily be finished to make this a man-cave, game room, hobby room, whatever you want it to be. There are 2 Geothermal systems upstairs to heat and cool the home. There are 3 septic tanks, one recently replaced. Fabulous 26'x45' metal building on a slab with a 12' eave ht & a 4" on 12" roof slope. Storage cabinet on south end will remain. 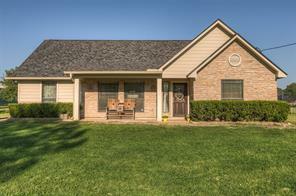 Great property in a quite subdivision has so much to offer. You must see this home! Own a part of History with this completely remodeled home located in the heartbeat of Downtown Montgomery. This registered historic Chilton-Dean home was originally built in 1853 and has been completely updated to showcase its charm and personality. 3 spacious bedrooms, 2 full baths, 1/2 bath in the detached garage, 2 living rooms separated by original pocket doors, granite island kitchen with stainless steel appliances, farm sink, breakfast area, laundry room, mud room and room to run and play on this nearly 1/2 acre corner lot. Walking distance to dining, shopping and holiday parades. Updates include outdoor lighting, paver patio, new paint, kitchen remodel, floors refinished, addt'l 600 sqft added (on slab), shed refurbished and a new roof. Custom Elfa shelving in the pantry and closets for additional storage and organization. Historic Montgomery is located in Montgomery ISD and is a short driving distance to IAH, Huntsville, The Woodlands, Magnolia and Conroe. Must see! 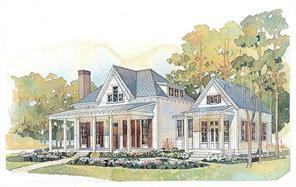 The Travis plan's inviting exterior features painted brick, columns and covered porch leading to the home's entry. The cottage-styled home design includes four bedrooms, three and a half baths with an open floorplan to maximize the livable space within this 2,989 square foot 1.5-story home. The entry way leads to a front bedroom to the right and a foyer to the left with a semi-private room ideally suited for a study or dining room. The open floorplan includes a spacious kitchen with lots of storage, a pantry and oversized island overlooking the casual dining space and family room.The family room with corner fireplace also opens up onto a covered patio to extend the living space. The master bedroom features an en suite bath with a large soaking tub as well as a walk-in shower and an expansive walk-in closet with built-in shelving. The additional bedrooms feature a shared bath, each with a walk-in closet. A large gameroom and half bath are conveniently located upstairs. Location - Location! 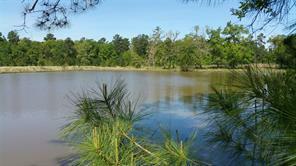 Gorgeous Wooded Acreage w/ a Lake fronting Johnson Rd just minutes NW of Montgomery TX! About 15.28 Acres, High & Dry, no flooding here! Some open land, mostly Wooded. Hasn't been surveyed yet. County maintained road. Community Water System! Low taxes, Timber Exemption. No city tax, no MUD tax, no HOA or maintenance fee. Build your dream home, a barndominium or a mobile home is okay. 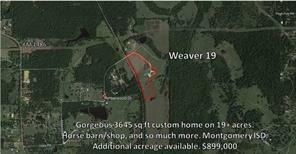 Additional acreage also available. See picture of sketch for additional information. 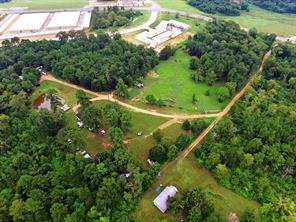 14 unrestricted acres in Montgomery. 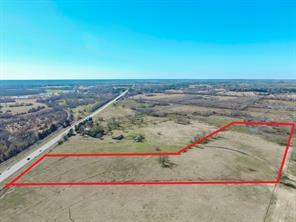 Zoned to the MISD school district, 250' of frontage on Hwy 105. Property has a great home site by the oak trees at the top of the hill, bring your horses and animals and enjoy country living. Commercial opportunities abound, as well. Wet weather creek in the far back of the property with some floodplain. 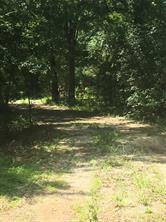 Beautiful, wooded 21+ acres located in Montgomery County near the small community of Richards, TX. 1-2 acre pond sits near middle of property, 2 car garage, electricity, aerobic system, 2 possible home sites. BEAUTIFUL 1700SQFT. BARNDOMINIUM ON 4 ACRES. METAL BUILDING ON SLAB IS 40'X100' TOTAL WITH 1 YEAR OLD 1700 SQFT. LIVING QUARTERS. LARGE OPEN CONCEPT LIVING, KITCHEN, EATING AREA. LARGE 3 BEDROOMS WITH LARGE WALK IN CLOSETS, 2 FULL BATHS. LARGE LAUNDRY/PANTRY ROOM. WOOD FLOORING THROUGHOUT, CEDAR RAFTERS, GRANITE COUNTERTOPS, BRICK BACKSPLASH, BLACK STAINLESS APPLIANCES, LARGE ISLAND WITH BREAKFAST BAR SEATING. SHOP SPACE IS 40'X55', 3 OVERHEAD ELECTRIC DOORS, 20'X60' COVERED AWNING. 20'X40' EXTENDED COVERED MOTOR HOME SPACE. CLOSE TO SCHOOLS & SHOPPING. ADDITIONAL ACREAGE AVAILABLE. Custom, Never lived in home located on a 1 acre lot......Great location and award winning school district. Contact me today for a showing! Nice 4 bedroom home with a POOL and SHOP! The interior features a fireplace at the heart of the home, arched entries and hard wood and tile flooring. The kitchen is galley style with a pass through window, breakfast bar, granite counters and informal dining. The master is spacious with double doors leading to the bathroom that has a walk-in tile shower and separate tub along with a double sink vanity. Luxurious backyard with saltwater pool, hot tub and a fire pit along with a pergola style covered patio. The drive way is double wide and goes all the way back to the shop that has lighting, electric outlets and 2 roll up doors. 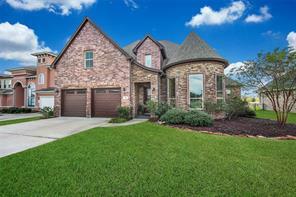 Beautiful one story home in the gated community of Waterstone on Lake Conroe! Open concept floor plan with island kitchen, custom stained cabinets, granite countertops, stainless steel appliances, double oven and large farm sink which overlooks the breakfast room and living room with ceiling to floor stone fireplace. Kitchen also has an oversized walk in pantry. 12 foot ceilings and 8 foot doors throughout. Abundant windows provide natural light throughout the large living spaces. Master retreat has a sitting area with views of the canal, tray ceiling, luxurious bath with large jacuzzi tub and his/hers walk in closets. 3 car garage has 8 foot doors for large vehicles. Close to exemplary Montgomery schools. Neighborhood amenities include Pavilion, tennis and basketball courts. Enjoy your morning coffee on the covered patio overlooking the canal while watching the sunrise. This one has it all!! Fantastic 4 bedroom, one story home in the heart old Montgomery on a HUGE lot. This house has just recently been updated with paint, carpet and a new roof. Great floor plan with open kitchen/ family room layout. Bring your decorating ideas to make this house your home. 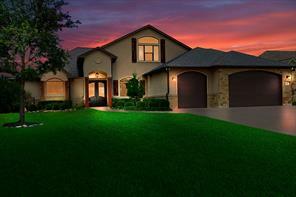 Beautiful one story home in Buffalo Springs. Close to shopping and schools. Come check out this 4 bedroom 3 bath home on almost half an acre. You don't want to miss this home. Welcome Home! One of a kind, custom home on a spacious 1 acre lot with tons of upgrades. Great family and entertaining house that is practically brand new! Home was just completed in October 2018. Details include: Over sized back porch, custom crown molding, walk in shower in master bedroom, tons of storage throughout the home, built in shelving, large open windows that let in tons of natural light if desired, large custom kitchen island, granite throughout the entire home with stained concrete flooring throughout. Call to schedule you appointment today! 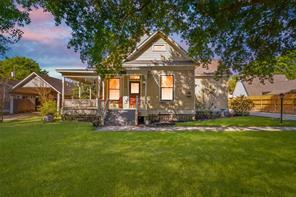 Unique charming home in the quaint historic district of Montgomery! Fantastic location across from Cedar Brake Park and in walking distance of old town Montgomery. Lovely home has 2560 sf with 3 bedrooms, 2 baths, beautiful crown moulding, super large family room, spacious kitchen with 8' breakfast bar and large dining area. Extra large lot with a 4-car detached garage and a concrete pad for your boat or RV! Photos of original 1936 home and addition made in 1993 give you a great sense of its history. Numerous updates completed in 2017-19. 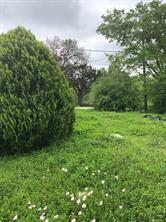 Large back/side yards with Texas Bluebonnets popping up every spring! Plenty of room for outdoor addition with swimming pool if you like. Super garage workshop possibility. Come visit, sit down in the screened front porch and watch the birds and nature! Make this wonderful home your own! Very motivated sellers! Never has flooded! Consolidated internet available! This property is a total of 5 acres. 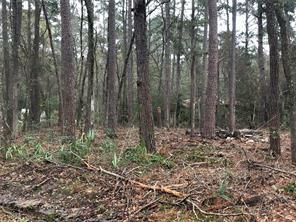 The front half of the property is cleared and the other back half is still wooded. Part of the 5 acres behind the house is fenced off to make a backyard. House is complete with a small shed in the back of the cleared property, an attached 2 space garage, aerobic system, and a well. Fresh paint in the house. New carpet upstairs and in the master. Verify room sizes. Seller will also replace the back door if the buyer does not want the doggy door. Refrigerator can be negotiated into sale. Deed restrictions, no hunting, you can have horses or cows not for commercial use and animals for school projects. WELCOME HOME TO THIS IMMACULATE 3 BEDROOM 2/1 BATH JEWEL NESTLE IN THE HEART OF MONTGOMERY COUNTY! LAND LOVERS THIS FULLY REMODEL LIKE NEW TRADITIONAL COUNTRY HOME SITS ON 3 ACREA WITH ISLAND KITCHEN, FLOOR TO CEILING FIREPLACE, LOW E WINDOW, OFFICE NOOK OFF OF FAMILY ROOM, HIGH CEILNG, TILE FLOORING IN COMMON AREAS AND CARPET IN BEDROOMS; OFFERING HOBBY EXTERIOR HOUSE WITH ELECTRICITY ON BLOCK FOUNDATION, FULL HORSE READY 40X24 BARN AND SO MUCH MORE. MAKE APPOINTMENT TODAY! New construction with open concept living, dining, & kitchen area; 10ft ceilings & 8ft doors on 1st floor; large bonus room above garage; large master bath w/ freestanding tub & large walk-in closet w/ window seat; kitchen w/ breakfast bar, quartz tops & stainless steel appliances; large utility room with bench seat; large covered rear patio & front porch; oversize garage door 18x8; exterior will be board & batten siding; finishes can be modified to suit client. This tract of land is located in the Montgomery Independent School District. The property is currently on a Agriculture Exemption and will qualify for a Wildlife Exemption. Big Savings on taxes each year !!!! The property has rolling terrain with a dry creek. Texas native trees and about a 5 acres pasture. PUBLIC WATER in front of the property saves big dollars not having to drill a well. 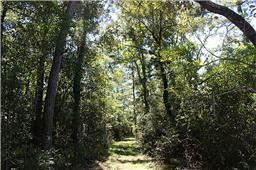 Wildlife includes whitetail deer, hogs, etc., This tract fronts a paved county road and has all the privacy one needs. This tract won't last long. Immaculate, well maintained two story home, with upgraded trim, accent walls and eggshell paint. Tiled floors in high traffic areas. Built in shelving in the garage with an oversized driveway. Nice, quiet neighborhood, with quick access to 105 and 1488. Location - Location! 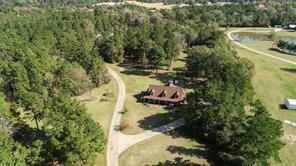 Gorgeous Wooded Acreage fronting Johnson Rd just minutes NW of Montgomery TX! About 15 Acres, High & Dry, no flooding here! Some open land, mostly Wooded. Hasn't been surveyed yet. County maintained road. Public Water System! Low taxes, Timber Exemption. No city tax, no MUD tax, no HOA or maintenance fee. Build your dream home, a barndominium or a mobile home is okay. Adjoining acreage also available. See picture of sketch for additional information. 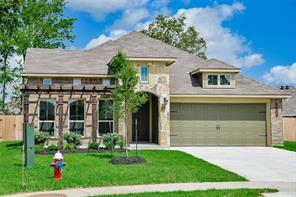 Come home to Stone Ranch where you can enjoy open spaces and the spirit of country living. 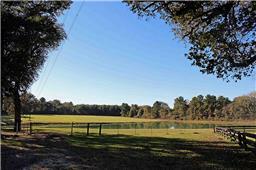 The neighborhood is highlighted by a 10 acre community fishing lake and 1 acre+ lots with room for horses. 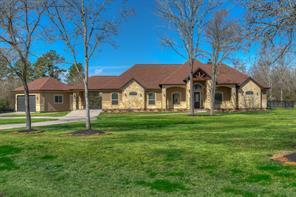 Take a look inside of this wonderful single story home on 1.5 acres. An automatic iron gate opens up to the perfect house with room for enjoying the outdoors. An ~1800 square foot covered patio provides evening shade and helps keep the A/C bill low. A well arranged kitchen/dining room opens up to a spacious living room with a custom mantle & fireplace. The split floor plan offers privacy for the master bedroom. Custom upgrades: metal safe in master, internal pest control, seamless gutters, 1500gal aerobic septic-easy maintenance, alarm system, 12ft bar, lighted dimmer switches-all rooms, refrigerator warranty, Techshield roof decking, electric gate, & OVERSIZED garage. Own your very own piece of Montgomery Texas! These lots are located in the heart of Montgomery, The Birthplace of the Texas Flag! Both lots Tract 34 and 35 are for sale. A total of 2.657 acres. There was a house on this property. It has been cleared off. The slab is still there. Please call agent with questions. This property would be ideal for anyone wanting to build a home or several multi-family units. The possibilities are ENDLESS! 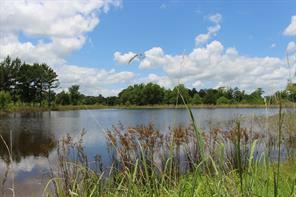 4 Unrestricted acres with a pond located in the much sought after out skirts of Montgomery. Located just minutes away from downtown. Home features a nice open floor plan, high vaulted ceilings and a fresh coat of paint throughout. Laminate floors throughout the main living areas and bedrooms. Not a stitch of carpet anywhere! Large master bath with double vanity making it easy for getting ready in the mornings. Mobile home on the property included in the sale. Partially wooded for extra privacy! "Stars are Bright With No City Lights!". Country living on a 1 acre lot. Come and enjoy peaceful nights at your new home. Just minutes away from Montgomery...."Birthplace of the Texas Flag". Located in the Montgomery School District. 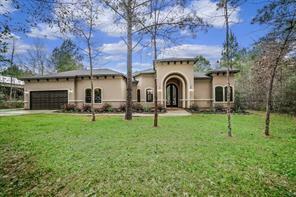 Close to Conroe, The Woodlands and Tomball. 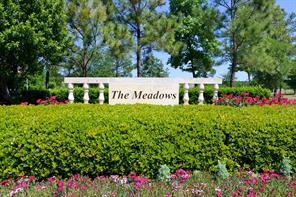 Lake Conroe amenities are 15 minutes away! This home has many upgrades and features you will love. Family room, kitchen and covered patio all face open woods in back of the home. Small 31 home subdivision on a cul-de-sac road. 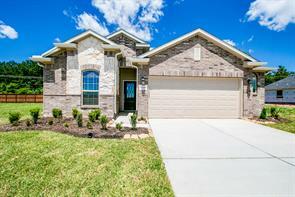 4 bedrooms, 2 1/2 baths, upstairs game room, dining room and study or home office downstairs. Come see this beautiful home and enjoy country living! Put this property at the top of your "must see list". PRiCED TO SELL! 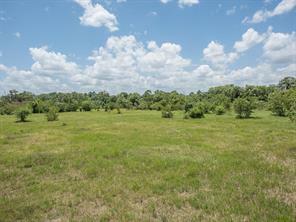 This is a beautiful 10 acre tract of land. Cleared and ready to build on. At present time has horses and cattle on property. Property does have an Agricultural exemption. Land is high and dry not in a flood zone. There is a small pond on the property - so bring your horses and enjoy the country There is 317 feet of frontage on Bethel Rd. Water available will need to add septic or aerobic system.. Electric Pole is located at the left front corner of property so would be easy to run to property. 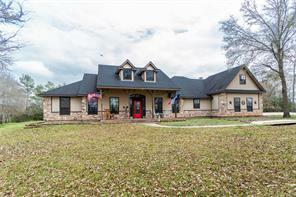 MOTIVATED SELLER - Amazing find in desirable Montgomery ISD – This beautiful 5 bedroom home is located in Stone Ranch Subdivision and sits on 1.5 acres of horse friendly property near end of cul-de-sac street. Automatic entrance gate and fully fenced property. Watch the sunrise or sunset from the covered front porch or large covered back porch. Open concept living, dining and kitchen area. Kitchen has granite countertops, stainless steel appliances and ample cabinet space. Master bedroom features a custom rustic wood wall, large walk-in closet. Master bathroom has double sink, separate shower and deep soaking tub. Split bedroom arrangement. 5th bedroom is large and is currently being used as a game room. Owner will consider leaving pool table, sound system and custom cedar bar. Recent upgrades include new roof, water heater, ac/ch system and laminate flooring (2017/2018). 30x 30 concrete slab with footers ready for your building ideas. 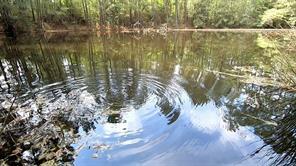 Community pond, pier and horse/walking trails. New Liberty Home Builders-Hancock Plan. 5 Bed/3.5 bath, Gameroom, Formal dining, Covered patio, 10' ceilings, Owner suite with dual vanity sink, Separate tub & shower. Features include 10' ceilings, Kitchen with granite counters, 42" Cabinets, Master bath with separate tub and shower and dual sinks, fireplace with cast stone, GE Appliances, Gas Range, Microwave/Dishwasher, Rigid Core flooring, waterproof, scratch proof in Kitchen, Breakfast, Den, all baths and utility. Energy saving tech shield, 15 SEER Trane A/C with programmable thermostat. 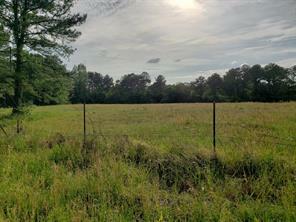 Looking to build your dream home, board your horses, or maintain livestock on 14+/- unrestricted acres in Montgomery, then take look at this secluded piece of property with usage of easement. Due to private property, viewings will be done by appointment only. 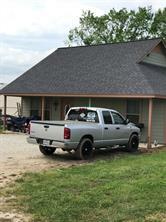 Please contact your agent for information on this property, because it is not viewable from FM 1486. Actual size and final dimensions to be determined with a new survey. 3 lightly restricted acres in Montgomery with 2008 Tilson home! Come HOME to the COUNTRY and PEACE and QUIET and WOODS! This property is still close to booming Montgomery and all the amenities you could need so you have the best of both worlds - a county setting still close enough to life's everyday needs. This tract is mostly wooded with just your little slice of heaven carved out of the middle for your home. The home has 1857 sf with a big open living/eating/kitchen area and split plan with 3 bedrooms and 2 bathrooms. This home has great PRIVACY and comes with some neat perks like 2 gun safes that will stay with home, Leafguard Gutter system, new master bath shower (2018), and new outside AC unit (2017). NO HOA breathing down your neck and no HOA FEE to pay each year. Well and Aerobic help keep your monthly bills down as well. You'll love this location and this opportunity to get out of the hustle and bustle and enjoy some space and peace and quiet. Come get it! 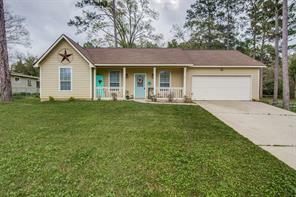 HARD TO FIND IN MONTGOMERY - Updated 1 Story Home on 2.42 acres. Updates include a Brand New Roof, Windows, and Paint In/Out. Totally New Bathrooms and Much More. Beautiful Large Hardwood Trees throughout Property. Small Pole Barn. 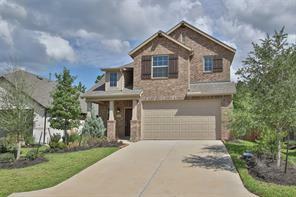 10 minute drive to Lake Conroe and 20 minutes to The Woodlands. Bring your horses. FFA projects allowed. Low Taxes and Montgomery ISD. Home has never flooded, high and dry! Front tract of two combined plats. 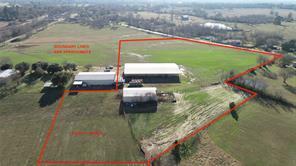 This front plat is 4.545 acres in Montgomery. Perfect Investment Property for Multifamily Development or Commercial. Great location at Plez Morgan Street and FM 1097. The property has 300' of road frontage on FM 1097. All city utilities available at the road on FM 1097. There are endless possibilities to this property. Located in a Rapidly Developing area. Prime Real Estate. 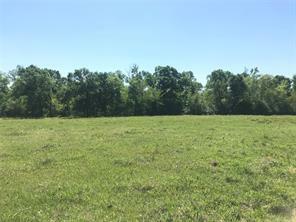 Seller will also sell the back 5 acres separately or as a whole. PLEASE CONTACCT ME FOR PRICE. Excellent Tax Rate of 1.99. MISD!! Buyer to purchase new survey. Location. Location. Location. 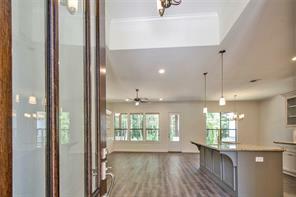 Gorgeous like-new home in downtown Montgomery with ease of functionality and flow designed with everyday life in mind. Close to restaurants, shopping, the library, and the park. Desirable open floor plan with 3 bedrooms and an office- 2.5 baths, 3 car tandem garage, built-in wood shelves in the living room on either side of the fireplace. The large kitchen features stainless steel appliances, a mentionable amount of counter and cabinet space and a spacious pantry. The master bedroom suite has a huge walk-in "wrap-around" closet with built-ins. Covered back patio. 15.454 Acres. 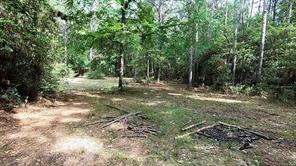 Wooded acreage in the highly sought after Montgomery area. Mature native timber. High and dry, no flood plain. County maintained road. Low taxes, Timber Exemption. No city tax, no MUD tax, no HOA or maintenance fee. Build your dream home, a barndominium or a mobile home is ok. Adjoining acreage also available. See survey for additional information. Looking to build? 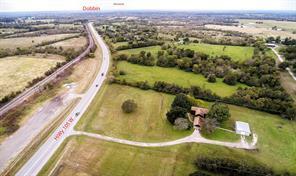 Here is your opportunity to have your very own piece of Montgomery ISD acreage! 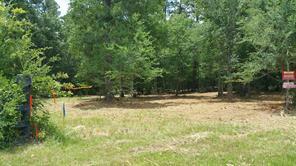 No neighbors behind you, this acreage backs up to a utility easement guaranteeing you privacy! This acreage was used as a hay-field, making it mostly cleared saving you lots of prep work, time, money, and stress. Seller has also said they would share the pond nearby for livestock. 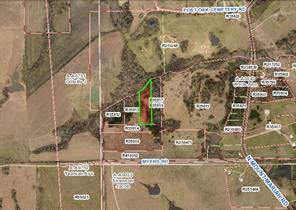 There is also additional acreage for sale if desired easily making up 20+ Acres, Mineral rights included! Easily access from 105, property is high & dry not in flood plain. Water and electric utilities are already on adjacent home-site lessening your expenses to build. Low Taxes! 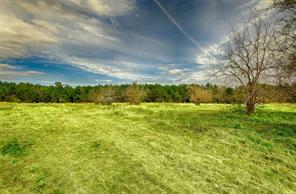 There aren't many acreage sites left to build on, own your very own piece of Texas! Land is one thing they are not making any more of get yours to call your own. Call to schedule your private showing today! 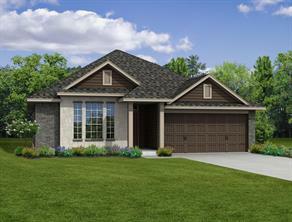 New Liberty Home Builders Home - Two story 4 bed, 2.5 bath, formal dinning. Features include 10' ceilings, covered patio, rigid core planks entry, dinning room, family room, kitchen/breakfast all wet areas. Dual sinks w/separate tub and shower in master bath. 42" kitchen cabinets w/granite countertops, master bedroom down, energy saving tech shield, 15 steer a/c w/programable thermostat, GE gas stove, microwave, and dishwasher. 15.405 Acres. 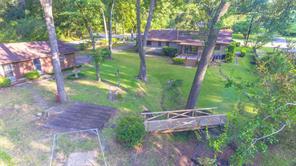 Wooded acreage in the highly sought after Montgomery area. Mature native timber. High and dry, no flood plain. County maintained road. Low taxes, Timber Exemption. No city tax, no MUD tax, no HOA or maintenance fee. Build your dream home, a barndominium or a mobile home is okay. Adjoining acreage also available. See survey for additional information. 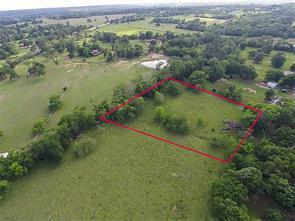 Unique Opportunity to own unrestricted 12 to 22 acres of wooded, rolling, scenic property less than 10 miles from Montgomery Texas on scenic FM 149. All three tracts border the US National Forest. Build your dream home, barndominium, or barn for your horses and surround yourself with peace, quiet and nature. A tranquil retreat from the fast-paced city life / to get away from it all, to enjoy with family and friends, but just minutes from many conveniences. Truly a Recreational & Nature's Paradise. This home is gorgeous with many optional features! The grand entrance has tall ceilings throughout, backsplash in kitchen, stainless steel appliances, tile surround in showers, and much more! Call before it's gone! What a great find in Historic Montgomery! Walk to the local businesses and events! 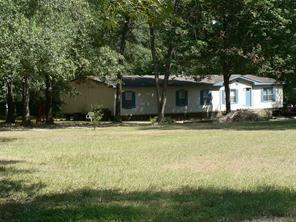 One-story home is on rare 1 acre lot with big back yard and old oak trees. Needs a little TLC, but some of the work has been done for you. New granite counters in kitchen, new cook top to be installed, extra bath has been updated and some new paint inside. Great study for work at home, wood fireplace and nice living room with beamed ceiling. Adding new door to back patio which is fenced and there is a large garden in the back yard. Huge 100+ year old oak trees, several producing pecan trees and a fig tree in the yard. Think of the potential for this home when you visit - great bones and a great opportunity for sweat equity. Call today, come take a look and make your offer! Be the first to move into this never lived in, lovely new home in the Master Planned Community of WOODFOREST, just north of the Woodlands. Highland Homes, Lyndhurst Plan, Home features open concept living kitchen and dining area with island bar - Tile floors with carpet in the bedrooms and game room. High ceilings throughout the home. Granite counters in baths and kitchen. Home is located on a cul-de-sac and backs up to a greenbelt. Close to the area pools, a family-friendly pool with a water slide or the lap pool for staying in shape and of course the tennis courts, basketball court, and golf course. Charming Country Cottage on 2 acres ready for horses! Located on a quiet Country street with in 10 min. of downtown Montgomery, shopping, schools & more. 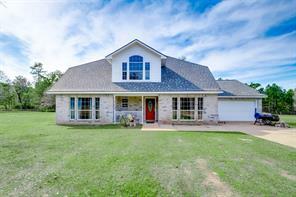 The exterior offers front and backyards, pasture w/fencing, horse stalls, large shade trees and a spacious covered back patio ready for entertaining or relaxing! The interior will immediately delight with a large living room w/picture window, dark warm floors and ceiling fan. The kitchen is sleek, light and bright w/granite counters, fresh cabinets, SS appliances & a very generous breakfast bar w/seating. 3 roomy bedrooms w/great storage and an updated bathroom w/shower/tub combo + storage space. Don't miss your opportunity to own a little piece of Montgomery County Country Bliss! Brand new subdivision in the heart of Montgomery. This subdivision features patio homes on larger lots. Annual maintenance fee includes mowing front and backyard. This home features 4 bedrooms, 3 baths, 3 car garage, and covered back patio. Subdivision is located near CB Stewart library, and in close proximity to shopping, dining, miniature golf and more. Montgomery schools. "NEW CONSTRUCTION" 2,500 SQ FT METAL, FRAMED SHELL BARNDOMINIUM, IN PROCESS OF BEING BUILT on 1.5 acres. Bardominium will be plumbed out for a 3 bedrm/2.5 bath. including a new water well, septic system, rock driveway and electricity on site. Builder willing to finish inside at buyers wishes (ask for pricing) or buyer enjoys doing it themselves. 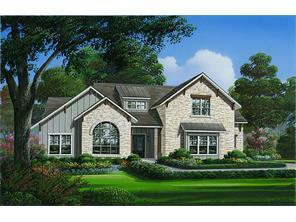 You will be able to customize your new home on a nicely laid out 1.5 acres. "Serene" private property off side street of FM 149 on Bailey Grove Rd, in Montgomery ISD. 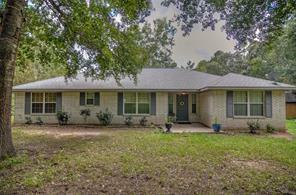 Great location with easy access to Montgomery, Conroe, Willis, Huntsville, Magnolia, and Tomball. 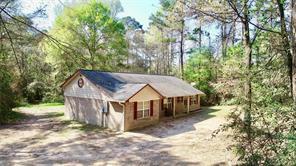 Minutes from major highways and tollways and Sam Houston National forest. Corner access and new Culverts added to give easy access to property. Secluded by a border of trees you will have just the touch of privacy you desire. Slight restrictions placed on property to keep it beautiful. 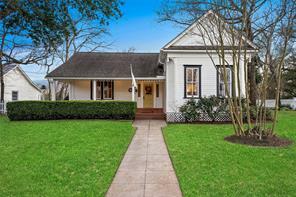 Beautiful open plan historical home, in the city of Montgomery, was moved from Houston Heights Area. Granite countertop throughout the home, Magnetite windows are inserts over original windows helps with energy efficiency, wood floors, tile in Bathrooms, and carpet in bedrooms. 12ft ceilings, beadboard accents. 2 Car Garage and 2 car carport with a 6-year-old roof. A large room above the garage with high ceilings. Perfect for an extra room, game room, mother-in-law quarters. The roof on the house 10 years old. Washer and dryer and refrigerator included. The refrigerator has an ice maker. This home is gorgeous with many optional features! The grand entrance has 10 foot ceilings throughout, a covered back porch, stainless steel appliances, 42" upper cabinets, a large fluorescent light in garage, tall and elongated toilet in the primary bathroom, tile surround in showers, and much more! Call before it's gone! Park like setting. Many recent upgrades include a brand new roof, updated electrical, newer AC and furnace, flooring, etc (Please inquire for a full list). Gorgeous piece of property (corner lot), with tons of mature oak trees, nestled in a quiet neighborhood……yet minutes from excellent schools, shopping and entertainment. Floor plan is open and spacious and offers a large living room with vaulted ceilings, beams and panoramic views of the backyard. Backyard is perfect for entertaining guests. Tons of storage space and over sized, detached garage has an additional ‘man cave’ with a half bath, kitchen and A/C. Stayed high and dry with Hurricane Harvey. Low taxes, low HOA and zoned to Montgomery schools! BACK ON THE MARKET! Gorgeous, UNRESTRICTED 3.5 ACRES backing to the Sam Houston NATIONAL FOREST with a 2 bedroom, 1 1/2 bath CABIN, 2 storage sheds, carport, and a pond. 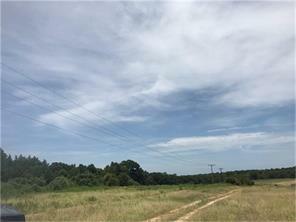 Enjoy FM 149 frontage along with Osborne Rd frontage (corner acreage) that offers lots of functionality and flexibility for your future plans. 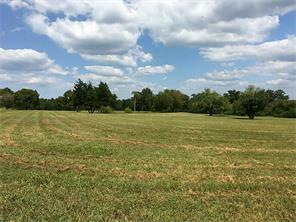 Partially cleared, rolling hills and beautiful with plenty of room to build another home, business, horse arena and/or stalls. Bring your horses, farm animals or more as this property again has NO RESTRICTIONS! Enjoy all Downtown Montgomery, Lake Conroe and the Sam Houston National Forest have to offer such as hiking, biking, camping, fishing, water sports, hunting, fine dining, shopping and more. Only minutes away from FM 105, Hwy 6 toward College Station, I-45 for a commute to Houston, Beltway 8/Sam Houston Tollway and Grand Parkway... it's a perfect location! Very low taxes! No MUD! This one will not last long! This home is a gorgeous home with many optional features. The grand entrance has 10 foot ceilings throughout, under cabinet lighting, tile backsplash, a covered back porch (that is pre-wired for a ceiling fan), a large fluorescent light in garage, tall and elongated toilet in the primary bathroom, luxury vinyl planking throughout the entire home, and much more! This home is a must see. It will not last long. 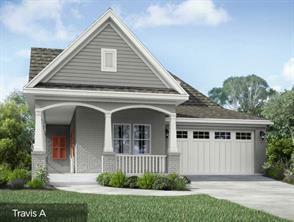 This 3 bedroom, 2 bath home is a great option and one of our most popular floorplans! With 1,500 square feet of pure luxury! The open concept living room, dining room, kitchen, and breakfast room will bring your family together as you gather for dinner, entertainment, or just relaxing. The home features a second sink in the master bedroom, stainless steel appliances, granite counter tops, luxury vinyl planking, a covered patio and much more! You will adore this floor plan and all that it has to offer! It wont last long! Quiet country living at its best! 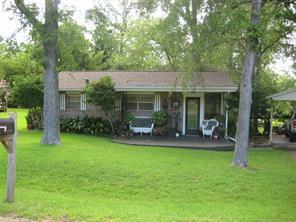 This well-kept 1,455 sqft home offers 3 bedrooms 2 full bath home on 1.5 acres. Large two car garage with covered carport. Both front and back porches enclosed. Storm windows throughout the home. Outside wired for exterior lights. Storage shed and long gated driveway. Located 15 minutes from the center of Montgomery's shopping, schools, and more. Don't miss your opportunity to own this beautiful property. Adorable 3/2/2 home located in the highly desired Tri Lakes Estate community. This home has been tastefully decorated with the popular farmhouse feel throughout and features a large living/dining combo, spacious kitchen located off family room, adorable laundry room with built in shelves, spacious master bedroom and bath, nice sized secondary bedrooms and a fenced back yard. 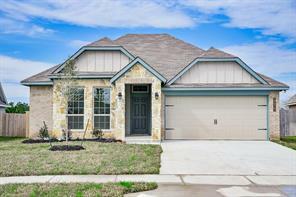 Great Location not far from shopping, dining and MISD schools. You have all the convenience of the City but still in the Country. This cutie will go fast, so make your appointment before its too late. The home has a variety of living possibilities. 3 bedroom 2 full baths with the possibility of a 3rd. The upstairs has a master suite and full bath. Laundry area and Kitchen. Also, a seperate upstairs loft. Appliances/Washers & Dryers are included. New paint througout the house. New flooring installed as well. New windows and all new exterior doors. Downstairs guest house/studio apartment has a full kitchen and full bath. Separate entry, and laundry area. Storage shed on property. The addtional building on the property can be a workshop, man cave, or workout space, also has a full bath. This home is within walking distance of the Pavillon and Lake. Quite neighborhood. All offers considered. This is a must see! 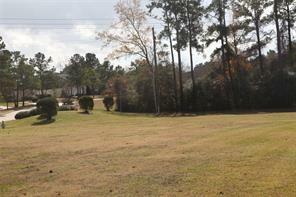 11.9 acre lot within the Montgomery School District. Here's your chance to enjoy country living. 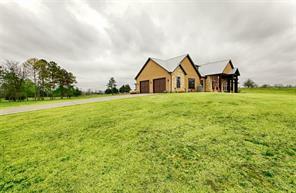 Bring your horses and build your dream home in the country. Low taxes. 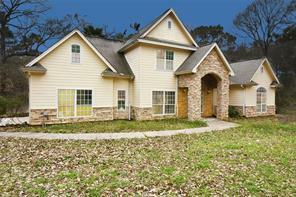 Just minutes from downtown Montgomery, Sam Houston National Forest and Lake Conroe. No mobile homes allowed. 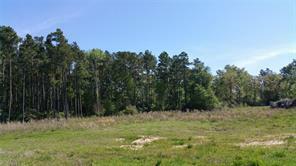 1.6 acres of unrestricted property in a well established neighborhood surrounded by the Sam Houston National Forest. This home is 4 bedroom 2 bath with 2 living areas and large open kitchen and dining area. The master bedroom is spacious and offers room to accommodate anyone's needs. The neighborhood features a lake for fishing and a pool in walking distance from this home! 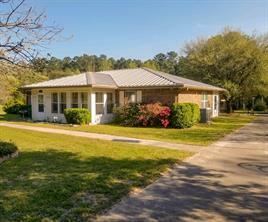 Only 5 minutes to downtown Montgomery - convenient country living! Beneath the breath taking sunsets of Perfection Ranch you will find this 6 acre parcel of wide open land to build your dream estate! Montgomery's premiere gated equine community boasts an indoor riding arena, bridle trails, 14 acre sparkling lake w/trophy bass, covered pavilion, & tennis courts. 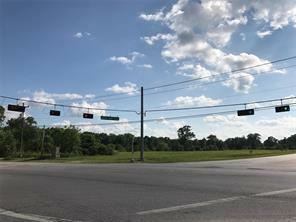 Lot offers agricultural exemption for hay production, exemplary rated MISD schools, and is conveniently located within minutes of the historical town of Montgomery with wonderful shopping! Very cute home on a half acre lot, home is only 1 year old, perfect for a new family starting out, very close to the Stone Ranch Three subdivision. 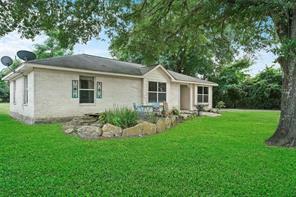 Very quiet neighborhood and only a few minutes from Lake Conroe. Stairs and ramps to both entry doors, a plus for someone that may have a disability. Open concept kitchen, living room and dining room, master bath has dual sinks, garden tub, and separate shower. Home comes with an enclosed dog run and 12 by 20 storage unit. Refrigerator and deep freezer are also included with the home. 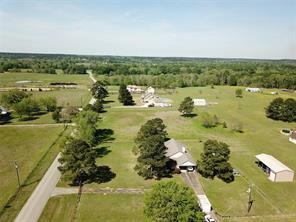 4.224 Acres of Country Living in Mongtomery ISD , 5 Br 3 Bath Double Wide Mobile with country kitchen and an island/breakfast bar. Refrigerator included. Master Bedroom with large closet and master bath, double sinks, corner soaking tub and separate shower. Large living room with wood burning fireplace. Spacious Dining Area, Laminate flooring throughout living spaces with carpet in most bedrooms. Storage shed needs TLC. Beautiful trees on this property giving you plenty of shade. Horses allowed, Mobiles Allowed, limited restrictions on this property. Well is approximately 185 - 285 ft. Rural setting on approximately two acres located Montgomery, this three bedroom two bath home features hardwood flooring and lots of windows to let the sun shine in! Some refreshing is needed, so bring your design ideas and call this home! 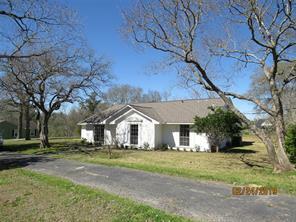 1.6 acres with nice home in a well established neighborhood surrounded by the Sam Houston National Forest. This home is a 4 bedroom, 2 bath, with 2 living areas and large open kitchen and dining area. The master bedroom is spacious and offers room to accommodate anyone's needs. The neighborhood features a lake for fishing and a pool in walking distance from this home! 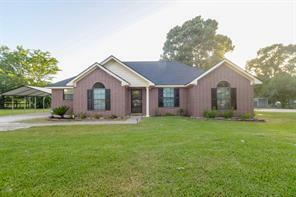 Only 5 minutes to downtown Montgomery - convenient country living! Beautiful contemporary home in the country! House has beautiful finishes including stone counter tops, stainless steel appliances, modern kitchen cabinetry, glass walls in kitchen and breakfast area that makes this home unique. Beautiful gray laminate floor in the whole house. This house has been remodeled with so much attention to detail it looks like out of a magazine! This place could be an amazing country getaway from the city! 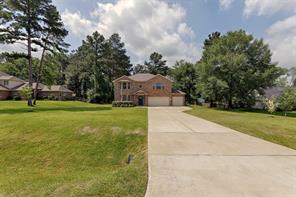 10 to 15 minutes from Lake Conroe and Historic Montgomery TX.This house sits on almost 1 acre (.97 acre) of cleared land with no restrictions. Owner built a pond that becomes a great view to the covered deck that goes from one side to the house to the other. Please come see this beauty today! You will want to stay here forever! Country cottage nestled among the trees is loaded with charm. 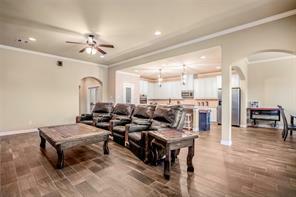 Home features wood flooring, separate living and dining area. Updated bathroom with shower and vanity. Quaint sunroom is air-conditioned for enjoying a little quiet time. Gazebo covered back deck overlooks large fenced yard. Covered carport with attached storage room that could be used as a workshop. Come home to peaceful surroundings on pristine acreage in the country. Private and beautiful, just over 2.2 acres....Plenty of room to build your dream home grow your own vegetables and much, much more. Schools should be independently verified. I 45 north to 105 west to 1486 north - property is on left side of 1486. 8NOTE; MAP LINK IS INACCURATE , WORKING ON CORRECTING IT, PLEASE FOLLOWING DIRECTIONS TO PROPERTY. Wonderful opportunity to build your dream home. Located in Montgomery ISD. 1.65 beautiful acres with mature trees. The property has a well, septic, and a generator. The home needs some TLC. 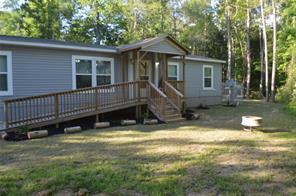 There are 2 bedrooms, 1 bath, kitchen, living room and a screened in porch. Cul de sac Lot in Gated Community on Lake Conroe. 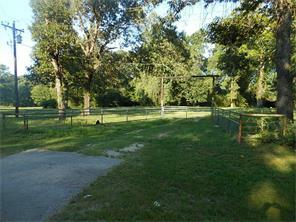 Montgomery ISD, City Utilities, Community features -- 8+/- acre park with tennis court. Walking / Jogging Path. Area for Baseball and Soccer. Approximately 1 mile from the new Kroger Marketplace and Retail Center. Country living with city advantages. 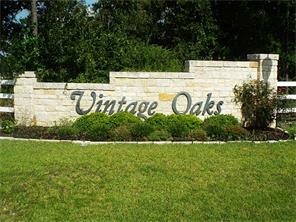 Lot is in a quiet subdivision minutes from The Woodlands and I45. There is an 1800 sq ft minimum building requirement. Perfect location to build your dream home. Horses are allowed. Low HOA fees, low tax rate, no MUD taxes. 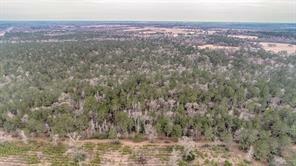 Beautiful pine and cedar trees will surround you on this peaceful 2.75 acre parcel found in the desirable Montgomery ISD. A seasonal creek runs through during certain times of year however the property is NOT in the flood plain. 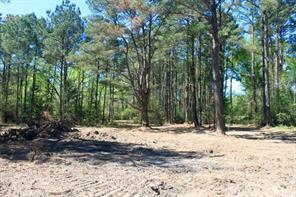 1/4 of the land has been cleared and is ready for a home to be added. 3/4 of lot is fenced. You can get access to property on a clay road put in last year (2017). A survey is available. If you want to shop or have dinner in town, it is a short 8 mile drive to downtown Montgomery and if fishing, boating, skiing, are of interest it is only a 12 miles drive to Lake Conroe. LOW HOA DUES! LAKEFRONT COMMUNITY THAT OFFERS FISHING, BOATING & CANOE TIME!! !THESE LOTS OFFERS ALL UTILITIES & ARE READY TO BUILD ON OR TAKE ON YOUR MOBILE HOME!!! THIS SUBD. 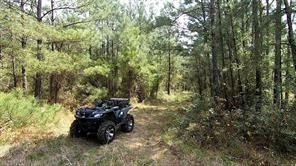 IS A HIDDEN GEM IN THE MIDDLE OF THE SAM HOUSTON NAT'L FOREST! THIS IS A GREAT PLACE TO BRING YOUR RV, FISHING POLES AND ENJOY NATURE AND QUITE TIME!! CALL FOR PRIVATE APPT. TODAY! 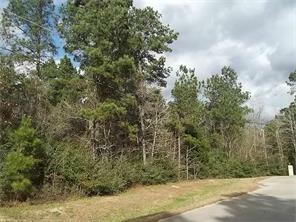 Lovely wooded lot in Tri Lake Estate subdivision. 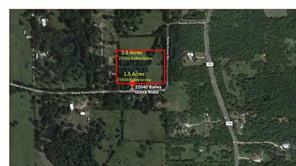 Property is 1 1/2 lots, about 14057 square feet, .32 acres. Lot 187 and 188B. Come build your home in the desired Montgomery School District. 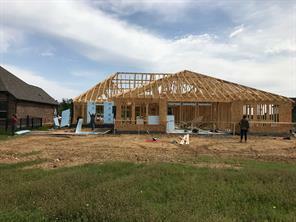 Corner lot across from Miller's Pond and a greenbelt with a gazebo, walking trail, play area & a bkt ball court.Pond view from the second floor of a two story construction.Full country club membership for a fee.Lot next door available for great over sized site. Golf, 10 tennis courts, 2 swimming pools, Club House, Yacht Club, and Sports Club and marina are available to resident members and their guests at their membership level.